TheGunBlog.ca — Canadian police have increased the use of SWAT teams by almost 2,100 percent since 1980 as the highly armed and trained units respond to routine calls, researchers said at The Conversation. They urged authorities to scale back deployments. Special Weapons And Tactics teams were used an average of 1,300 times each in 2016 compared with 60 times per unit in 1980, according to an analysis by Kevin Walby, associate professor of criminal justice at the University of Winnipeg, and Brendan Roziere, a law student at the University of Manitoba. They wrote “Rise of the SWAT Team: Routine Police Work in Canada Is Now Militarized” Jan. 24 at The Conversation. The use of special units varies widely. In 2016, Winnipeg’s municipal SWAT teams went on 3,372 calls, Ontario’s provincial units responded to 2,417 call outs, while Ottawa SWAT was deployed 123 times, the researchers found. Ottawa and Vancouver teams were generally used 100 to 200 times a year, the authors said. 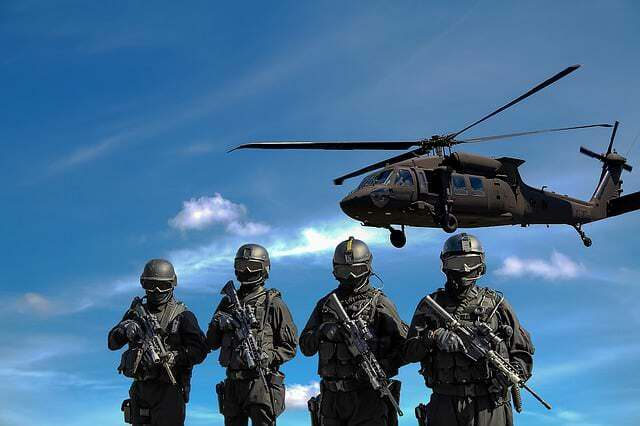 The researchers also wrote “Police Militarization in Canada: Media Rhetoric and Operational Realities” last October in the journal Policing: A Journal of Policy and Practice.